Cedar Creek Park has for years been a cultural hotspot in Cedarburg. It hosts a number of events throughout the year including its Summer Sounds series, which brings a number of great musicians to the park every Friday night during the summer months. 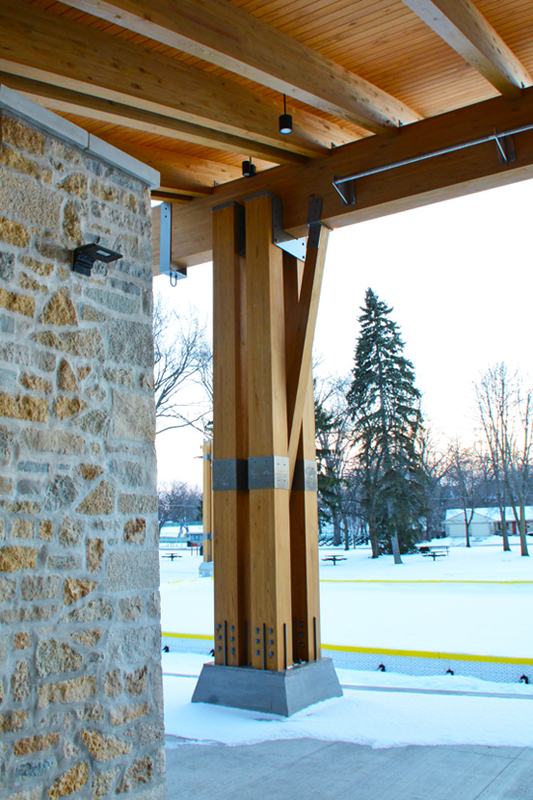 The design was inspired by the various historical elements throughout the town, such as the classic stone buildings and the steel train bridge. Using these materials, the design takes on a more contemporary form allowing it to fit into the context of the town, while not attempting to recreate a historical style.